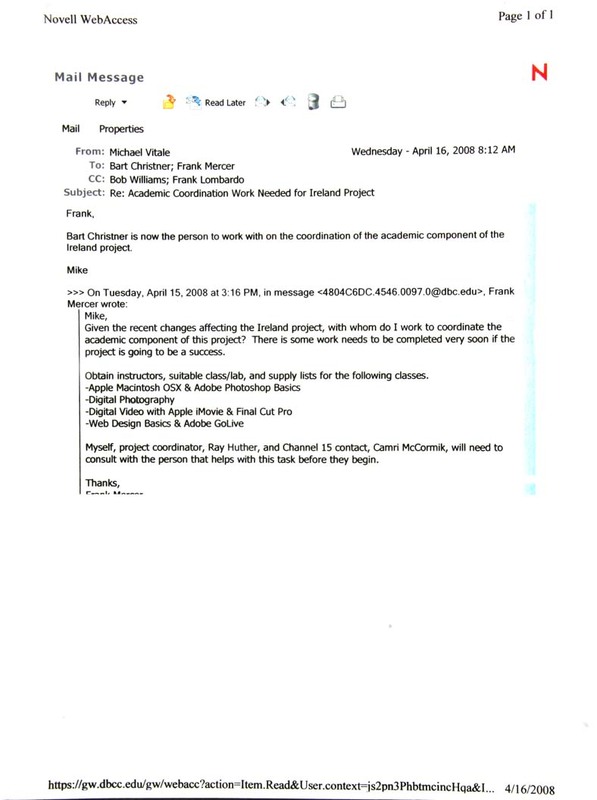 Bart Christner is now the person to work with on the coordination of the academic component of the Ireland project. Given the recent changes affecting te Ireland project, with whom do I work to coordinate the academic component of this project? There is some work needs to be completed very soon if the project is going to be a success. Obtain instructors, suitable class/lab, and supply lists for the following classes. Myself, project coordinator, Ray Huther, and Channel 15 contact, Camri McCormik, will need to consult with the person that helps with this task before they begin.